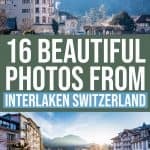 In this photo series you will discover some of the most beautiful photos of Interlaken, Switzerland. 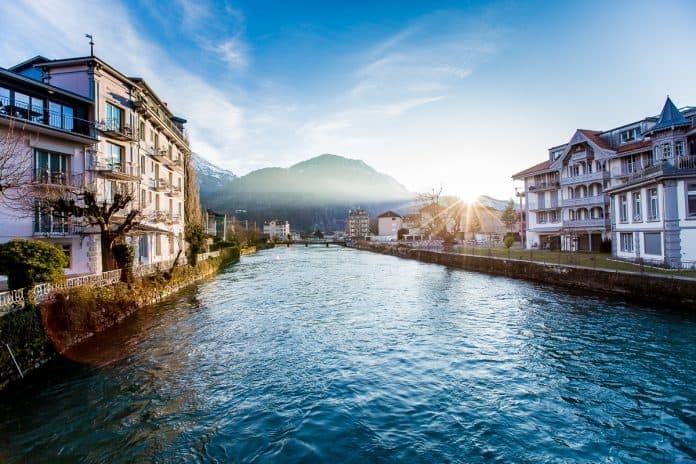 This quaint Swiss town is surrounded by gorgeous Swiss alps and has the Aare River running right through it. Its crisp air and classic German and Swiss influences will make you feel like you've been transported back in time as the people make you feel right at home. 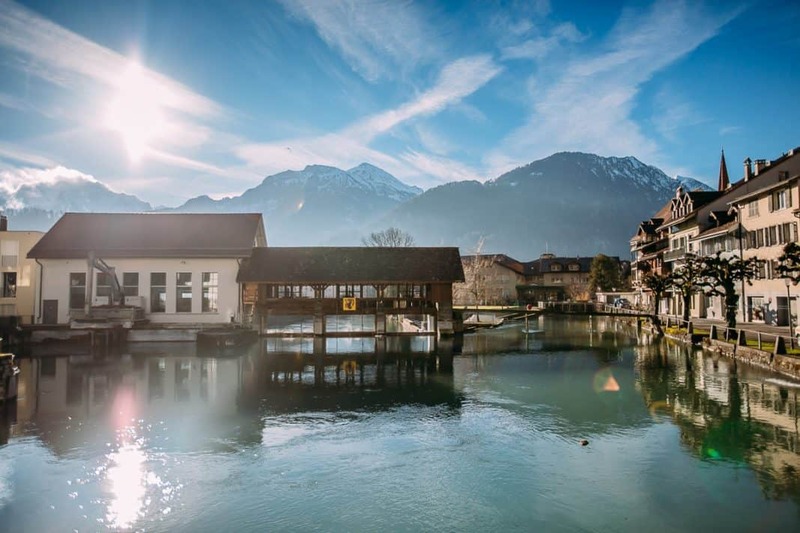 Interlaken has plenty of things to do throughout the year. 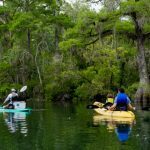 If you are traveling with family, there are several hotels that offer rooms or apartment style options for your stay. 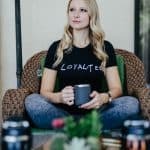 And most hotels are within walking distance to the main downtown street where you will find shops, bakeries, and cafes. Interlaken has ice skating during the winter and farms to visit all year-round, making it a fun vacation. 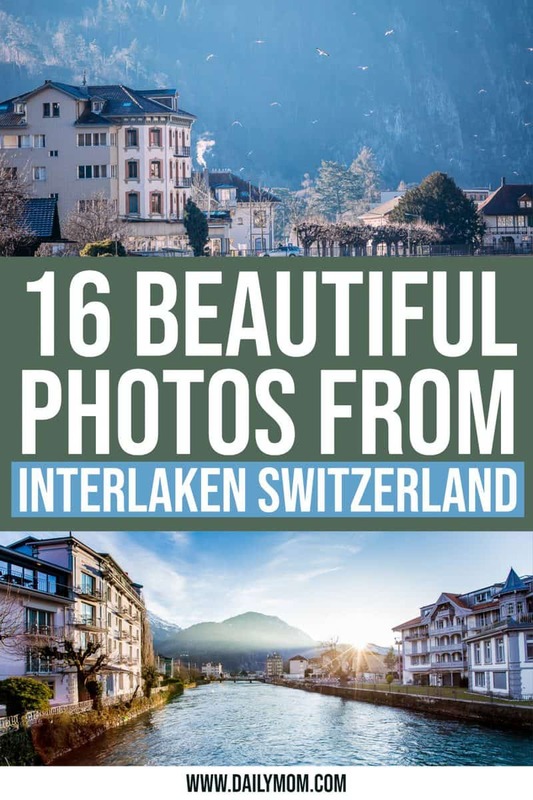 These 16 photos of beautiful Interlaken will convince you to make it a part of your next European adventure. Take a look below to discover the beautiful Interlaken, Switzerland in photos and then check out our article on things to do in Interlaken. Interlaken is surrounded by two large lakes, the Brienz and the Thun, with the Swiss Alps rising high above. The Aare River separates Interlaken and the nearby town of Unterseen. 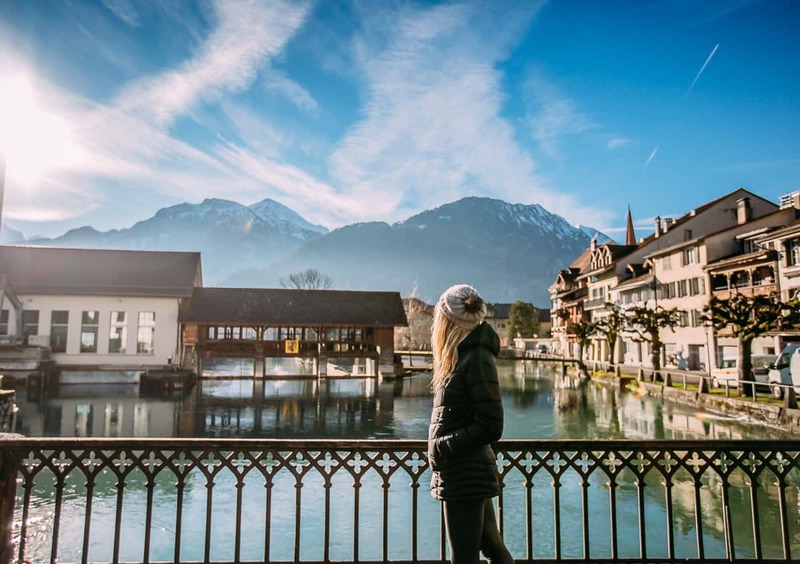 The Swiss Alps surround Interlaken and make it a beautiful city to visit any time of year. 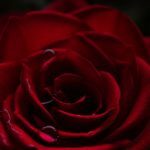 No matter where you stand on the city streets the views that surround you are spectacular. 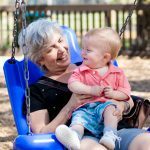 Even the new builds are built with the same traditional German and Swiss architecture. 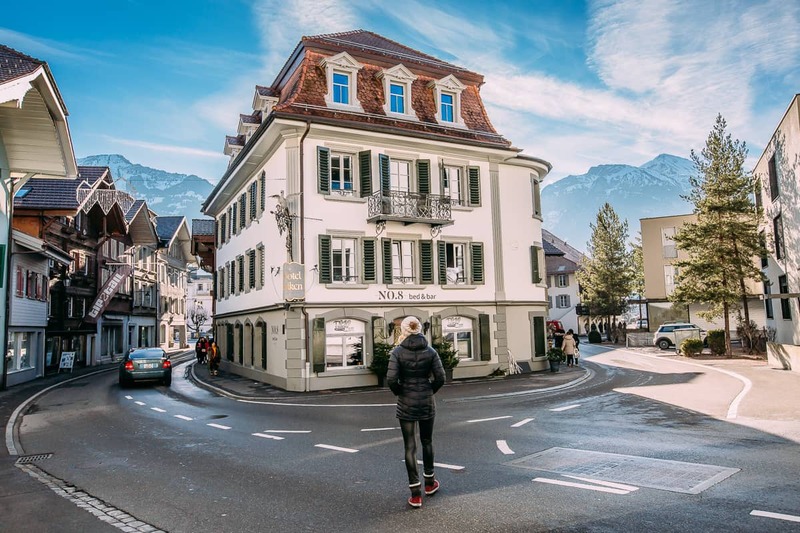 There are several delicious eateries and places to visit in downtown Interlaken. 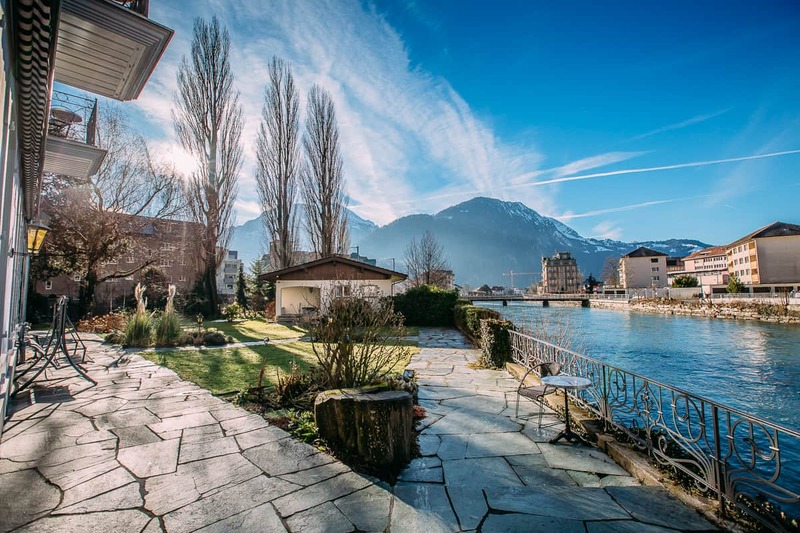 The views from Hotel Belvue do not disappoint any of their guests. Streets in Interlaken have plenty of little shops, bakeries, cafes, and fun things to do for the entire family. 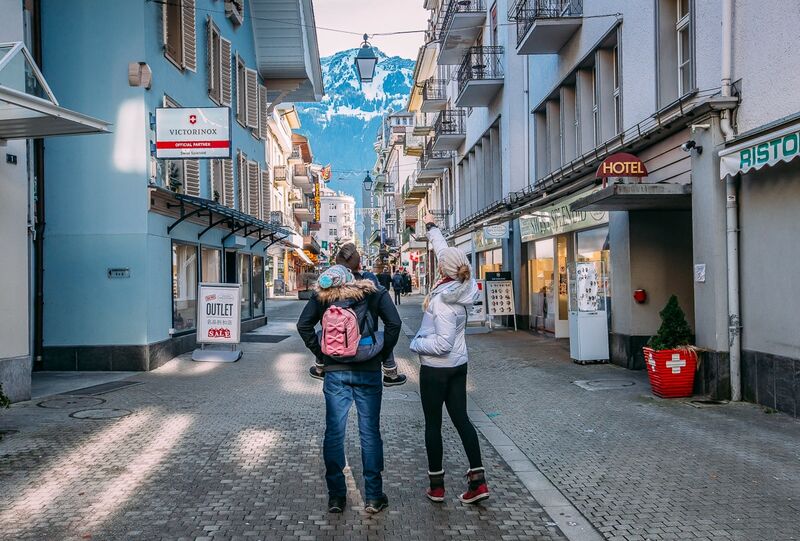 Around every corner in downtown there are small streets to explore with shops and food. 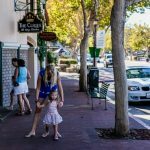 It is a wonderful little town to visit with the entire family. In this huge open field in the center of town you can often find people parachuting off the mountain, or festivals and activities being held. 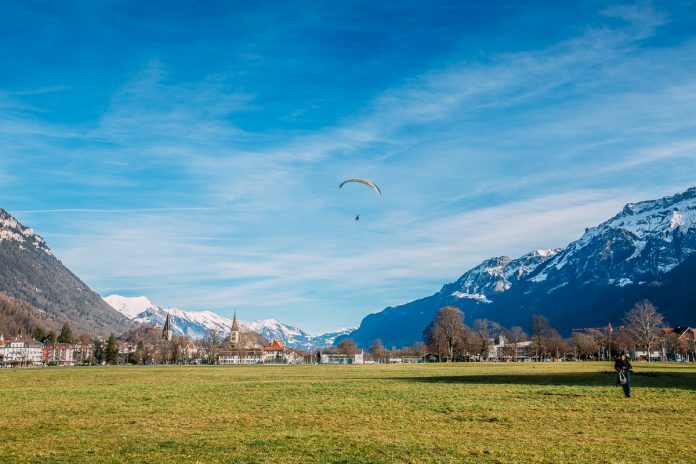 There are plenty of things to see and do in Interlaken- and if you want to take it to new heights and sights you can take a plane up to the the skit and parachute back down to the city! 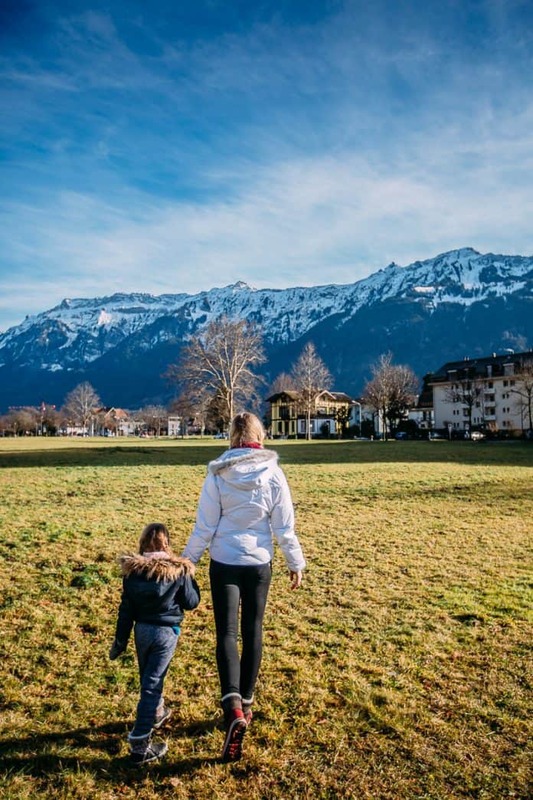 The Swiss Alps surround Interlaken so the snowy mountain views are around every turn. 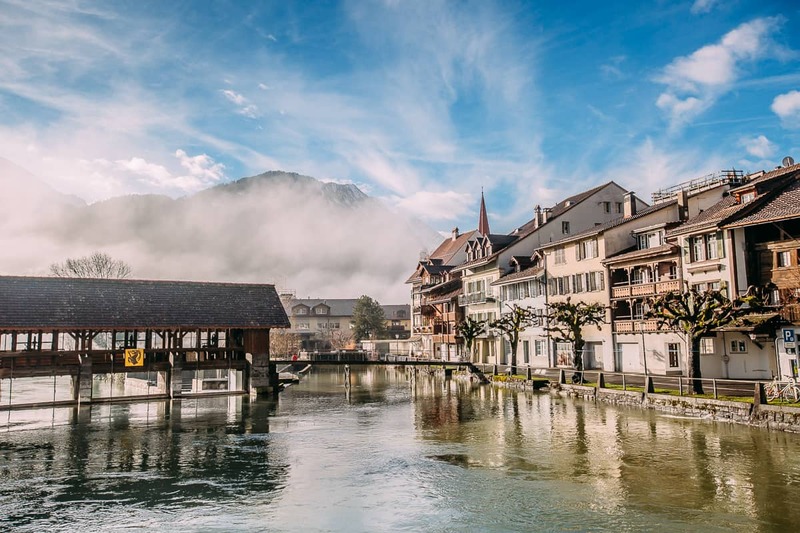 The Swiss are well-known for a few things: their chocolate and their clocks. 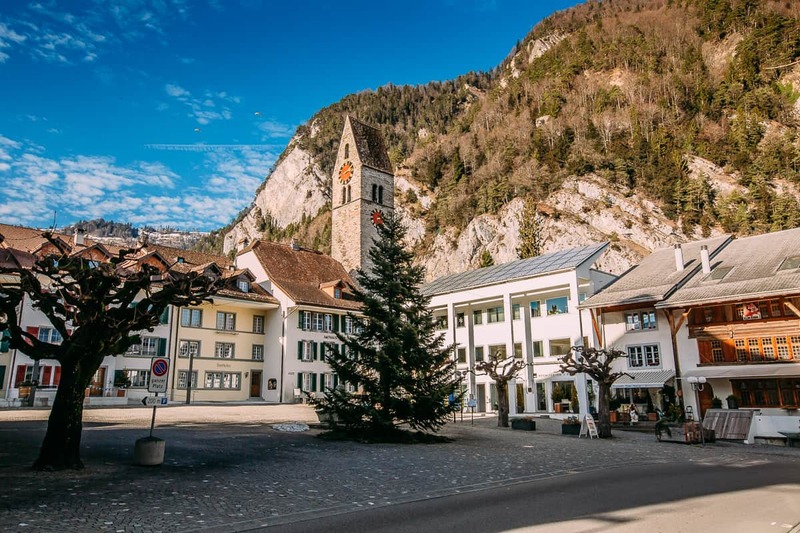 What Swiss town wouldn't be complete without a tractional clock tower? 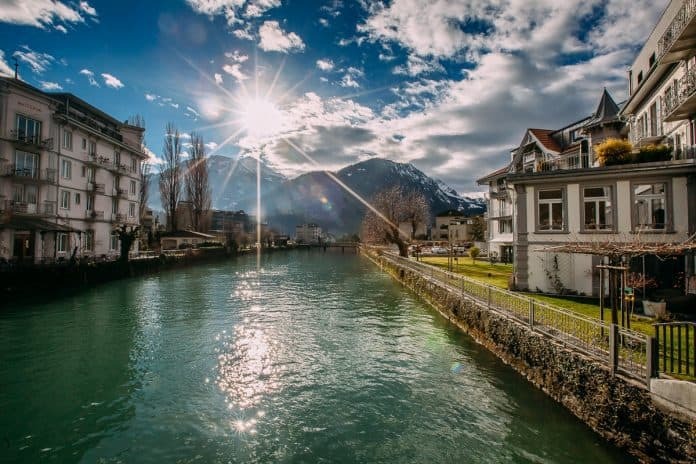 Separated by the Aare River, Interlaken has waterfront views for many residents of the town. 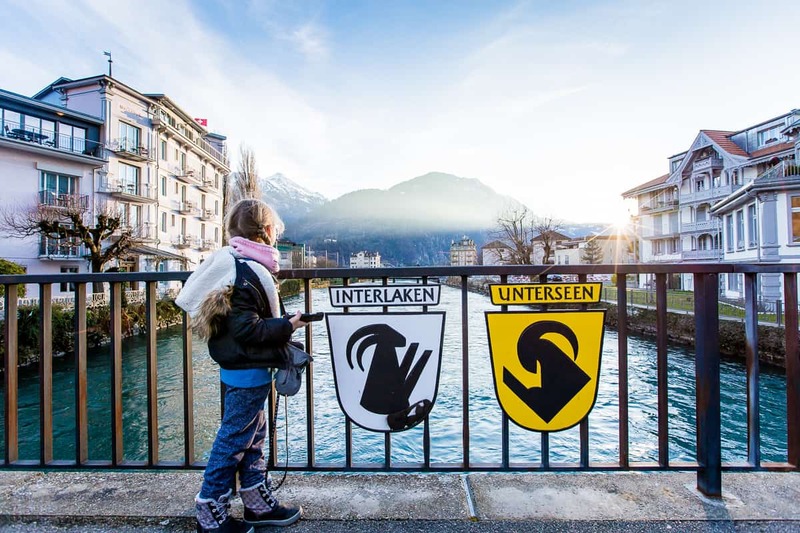 Separated by just a river, the two towns of Interlaken and Unterseen sit right next to each other. 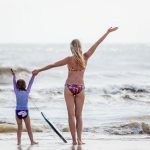 Traveling with your children is an experience they will never forget. 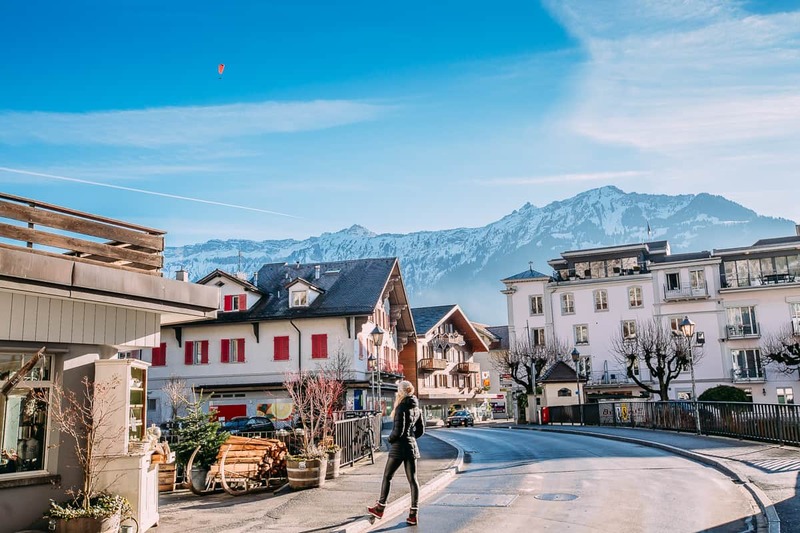 Interlaken provides some amazing sights that they will not experience anywhere else and the small-town feel will help everyone feel right at home. 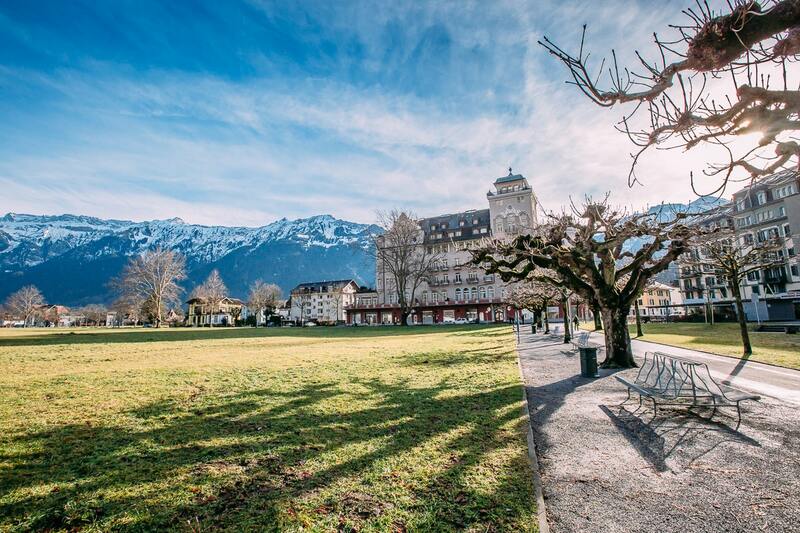 Interlaken, Switzerland is a must-see when you visit Europe. 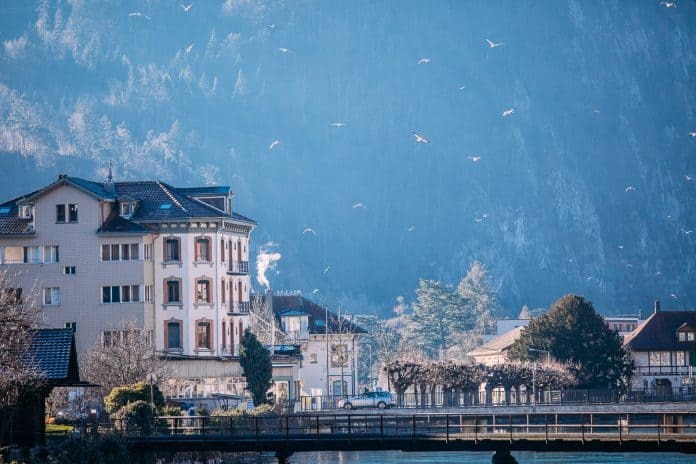 Tucked between the Swiss Alps with lakes and a river running right through it, it is a small-town feel with plenty of history, great food, and gorgeous views. 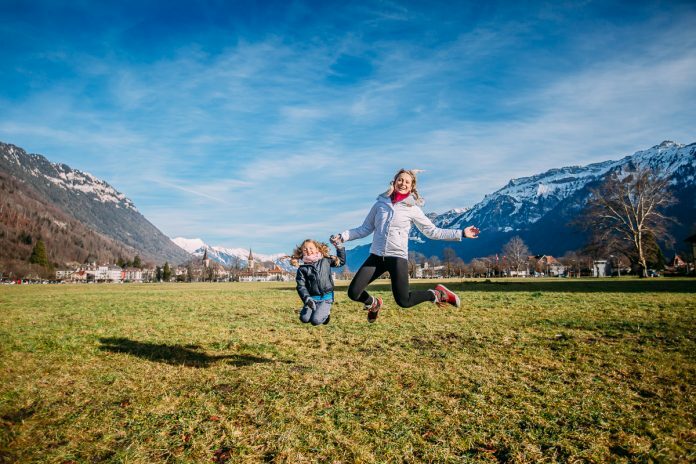 Hope you enjoyed our tour through Interlaken in photos. 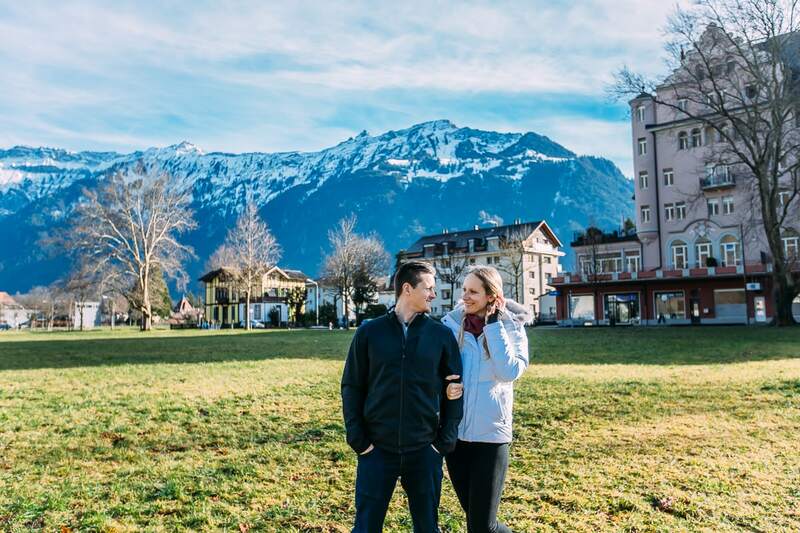 Check out this article on 48 Hours in Interlaken, Switzerland.